Have you ever heard of about the Seven Wonders of the World? The seven wonders of the world are in many different places. They are many things such as statues, places, houses, etc. They are the seven wonders of the world for what they did. They had to do something for it to be a wonder. The castle was slowly coming apart because of the earthquakes that have happened throughout of the years. 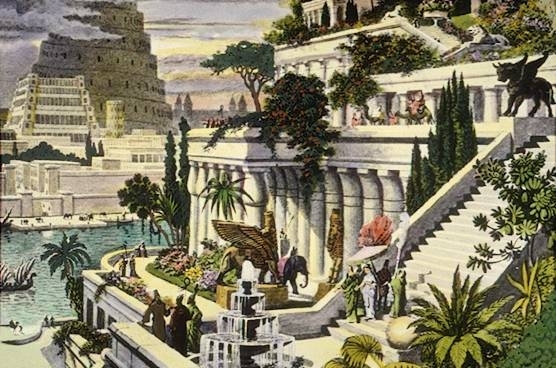 One interesting fact about the Gardens of Babylon is that it was built on top of buildings around 600 B.C. The garden of Babylon was built by King Nebuchadnezzar. Then they have never found it since. The Hanging Garden of Babylon is nowhere to be found. The Pyramid of Giza is one of the 7 wonders of the world. This was built 2680 b.c. This date is just an estimate, the people that found it were not sure of this date. The creator of this majestic pyramid was King Khufu. This pyramid was one of the largest ever! The Height of this pyramid was 482. Now that is BIG! Now you probably are thinking, “why did they build this pyramid?" They built this pyramid for the King and two more pyramids nearby for his son and his grandson. Now we think this was enough, there are many more wonders to explore. The Statue of Zeus at Olympia was made of gold and ivory in the 5th century. This statute was about 40 ft high! It is big but not as big as the Pyramid of Giza. The amazing creator of this amazing statue was Phidias. It was lost without a trace once it was destroyed. The Mausoleum at Halicarnassus was built by Queen Artemisia. She built this in memory of her husband, King Mausolus of Caria Minor. The king died in 353 B.C. Some of these structures are still remaining in Halicarnassus. Wow, she has to love her husband a lot! Aren't some of the seven wonders of the world amazing! These aren't the only ones that have been discovered. These are amazing interesting places to discover and you can study them, too. My partner and I enjoyed studying and discovering these amazing wonders of the world. Will you discover the future wonders? 2) Ferdinand Knab, The Mausoleum at Halicarnassus, Seven Wonders of the Ancient World, Dec/22/2015, May/30/2017, https://commons.wikimedia.org/wiki/File:Mausoleum_at_Halicarnassus_by_Ferdinand_Knab_(1886)_cropped. Celeste T. Student "The Seven Wonders of the World by Giselle Alvarez and Celeste Torres" AwesomeStories.com. May 25, 2017. Apr 21, 2019.